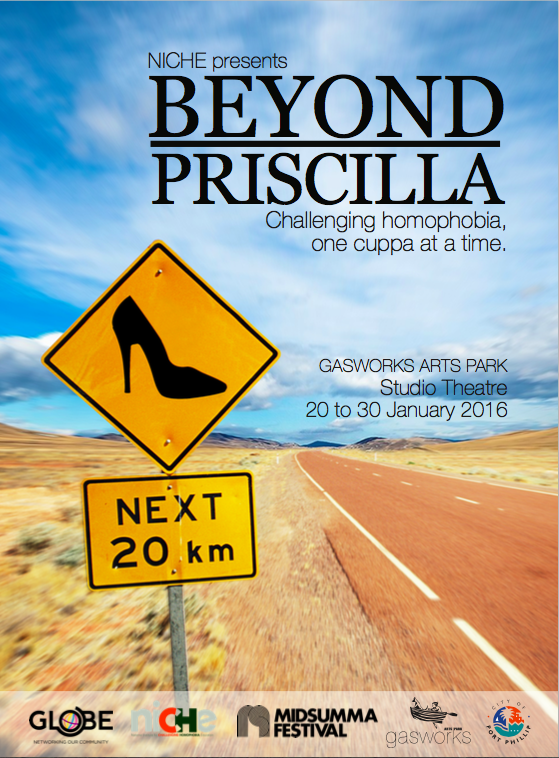 Beyond Priscilla has become a play! 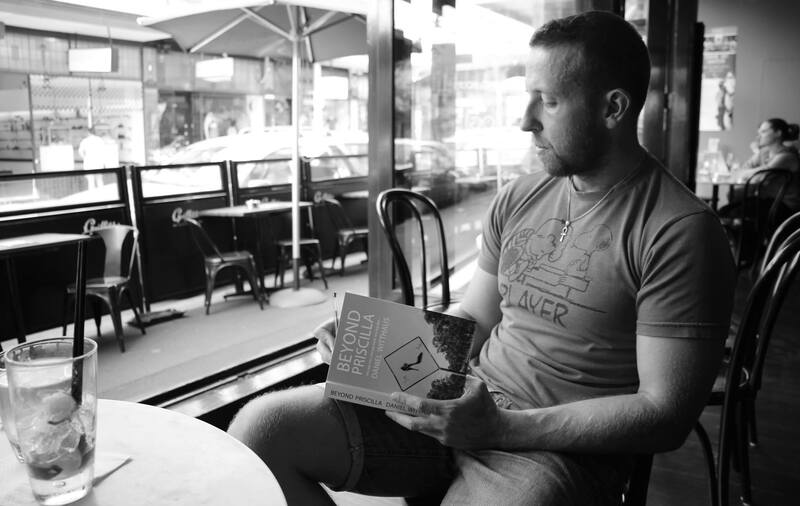 Thanks to the adaptation efforts of award-winning playwright Gavin Roach and director Lauren Hopley, the book has become a play. In 2010, Daniel Witthaus spent 266 days driving around rural, regional and urban Australia challenging homophobia. 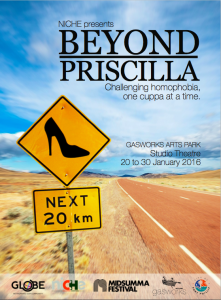 Beyond Priscilla is a record of the Beyond ‘That’s So Gay’ National Tour. 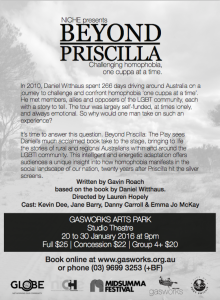 In a 38 week road trip around Australia, Daniel Witthaus discovered what contemporary life is really like for LGBT people – life beyond the stereotypes, life ‘beyond Priscilla’. Daniel’s simple aim was to challenge and confront homophobia ‘one cuppa at a time’. In so doing he met a wide range of individuals, all with harrowing or uplifting stories to tell of ‘pride and prejudice’. Join Daniel as he encounters foul-mouthed police officers, transgender treasures, a billionaire’s butler, gay jackaroos and straight lumberjacks looking to change. Daniel has also published another book titled Beyond ‘That’s So Gay’: Challenging homophobia in Australian schools (2010). 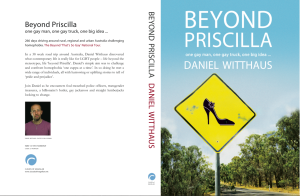 Paperback copies are now available, signed through Daniel (daniel@thatssogay.com.au or Daniel Witthaus on Facebook), and unsigned, through Hares & Hyenas and print on demand: Amazon, Book Depository and Barnes & Noble. Stay tuned for details of all good bookshops. Already Daniel has sent signed copies to the UK, US, Ireland and rural Japan!